Well... This is an announce of our first giveaway result! Thank you to everybody who took part at or first team Giveaway! We got 125 post within 2 weeks We think it’s a great result. 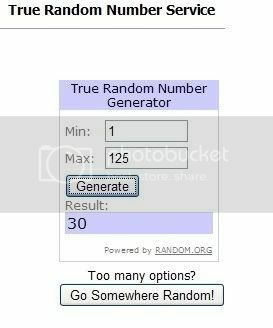 According to http://Random.org, the lucky number was 30! 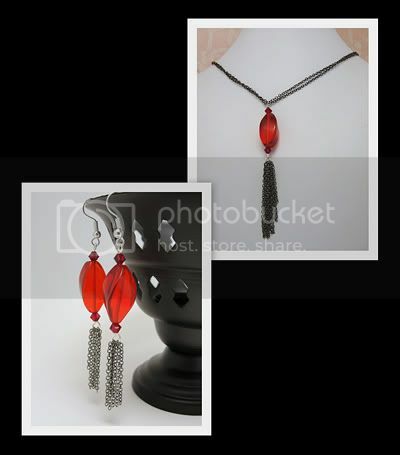 "I am a RUBY and your giveaway are also RUBY so that means I'm going to win! Woohoo! I won :)"
Congratulations RubyClover!!! You'll receive this prize!